SEO is one of the most important aspects in enhancing the visibility of a website and making it easy for the search engines to crawl to a site. SEO is necessary if you are very much obsessed about improving the quality of traffic to your site. SEO is nothing but marketing your website online. Driving organic traffic to a website through algorithmic search results requires making the website compatible to search engines. Well, to make your website appear more likely in the search results needs research and analysis to identify the positives and negatives of website. Analyzing a website is the study of webpage behavior, understanding the user’s experience on your website, and recognizing areas of development to increase organic traffic. Website analysis is the detailed report of webpage content, its relativity, and areas of improvement. It details what exactly is required to rank your page higher in the search engine. Website analysis is like an architect’s blueprint that states what needs to be done to make your site fall within SEO guidelines and when to apply the SEO tactics to improve the traffic. There are a variety of Internet marketing and SEO tools out there for website analysis and lots of them are free. These tools offer everything you need to manage an SEO campaign with a full report of your website from different perspectives. 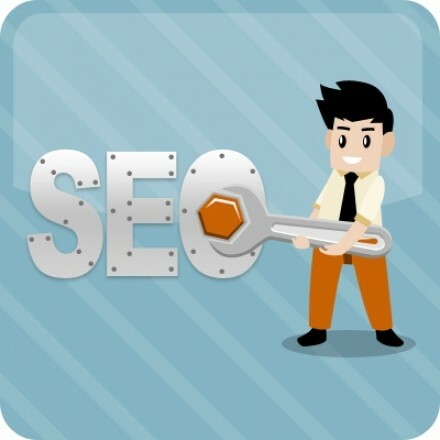 Some of the best SEO tools used for website analysis are as listed below. SEOmoz: SEO tools from SEOmoz perform many tasks like analyzing a page, a blog, or a whole domain based on a variety of functions. The toolset does actions such as on-page scrutinize, backlinks analysis, rank checking, and keyword evaluation. Website Grader: This is one of the most popular website analysis tools due to its functionality and usability. This tool offers a full report on on-page and off-page factors. It includes domain and meta-data information, link data, and RSS forms. WooRank: This is a very robust SEO analysis tool. WooRank analysis the website based on various aspects like tag data, Meta and link data, traffic data, keyword description, image SEO, page analysis and server information. LinkVooDoo: This offers a complete set of professional link building tools. LinkVooDoo is a great backlink analyzer tool and provides a lot of great information on other factors as well. Lipperhey: This SEO tool’s main objective is to provide high level data report and scores on different aspects. Lipperhey analyzes and assesses the website to provide overall scores, incoming link data, and directory information. Website analysis is important for SEO because of many reasons. It gives information on several aspects that you can use for the overall improvement of your website. Here’s why you need website analysis. Using SEO tools for website analysis is probably one of the best SEO strategies to begin with. With SEO tools review, you can make sure that your site is highly optimized for the search engines and expect some good traffic. This article has been brought to you by MyTechHelp – a leader in providing support across various products brands and tech devices for individuals and small businesses in need of instant tech help.click here. Hi Ian, good article. I like the seo tools you suggested. I also use iwebchk.com which is like woorank but completely free.